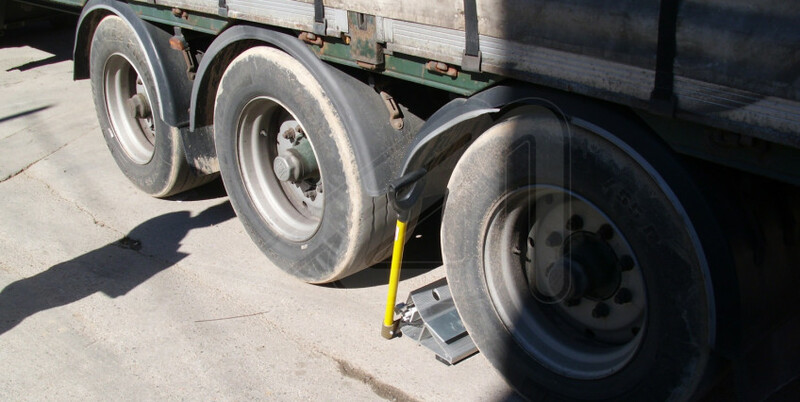 The security wedges from Angel Mir – Portes Bisbal SL warrant a total blocking of the truck wheels at the loading bay. 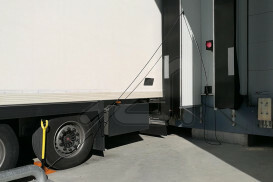 They avoid that, during the loading and unloading process, the vehicle cannot away from the dock and cause damage to the workers, the installations or the goods. 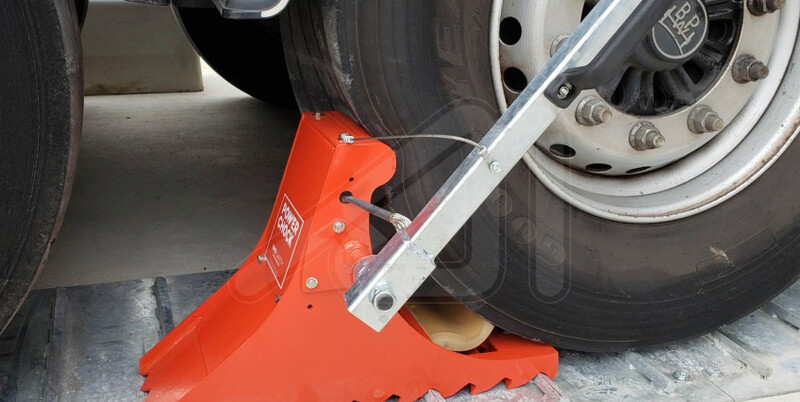 There are different kinds of chock models, from simple and economical blocking systems, more complex systems with signs built-in, until others needing civil work and therefore blocks the truck automatically. 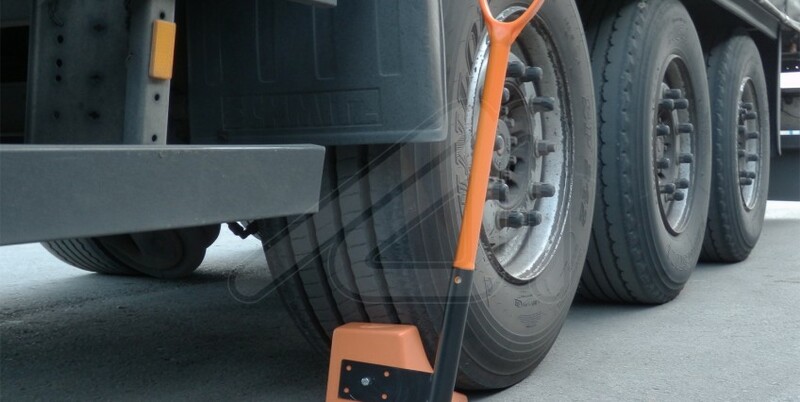 All of them have a very simple and intuitive operation and are intended for intensive use under extreme work conditions. 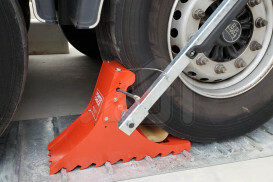 All models of trcuk wheel chock are manufactured with robust materials and without complicated electronic elements. 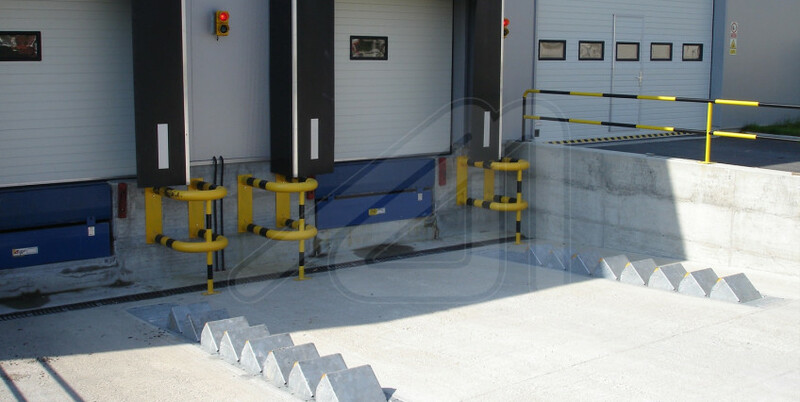 It has been proved that, taking in mind the day-to-day use given to the dock, the results of complicated electronic elements are not the desired ones because an electronic breakdown can delay the whole loading bay. 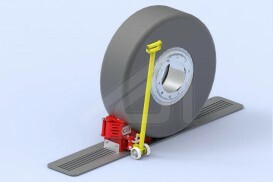 It’s a intelligent chock system, very light, resistant and with cables. 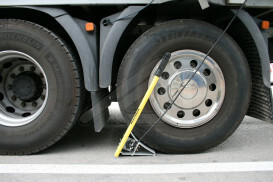 Truck lock system by surface restraining ground plate and steel chock. 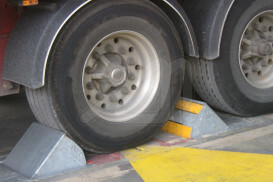 Optioin Basic and Preimum. 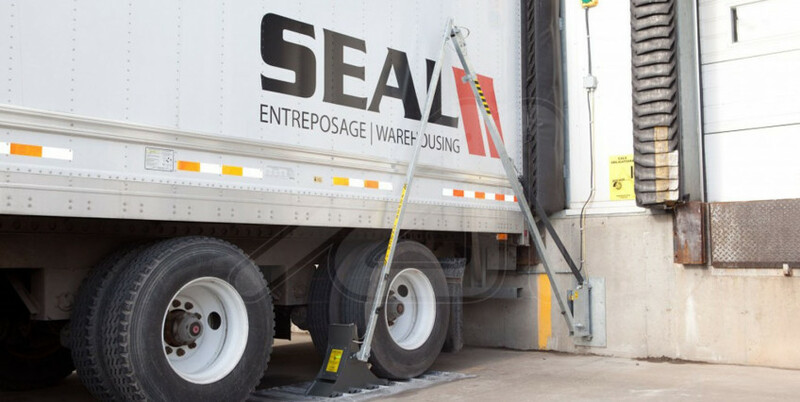 This automatic security chock adapt themselves to the axle positioning, independently of the type of vehicle.